In accordance with the new 2019 regulations of the International Cycling Union (UCI) to increase the mountain biking stage races from three to four days, Octagon Esedos has created a new format for all its four stage races; La Rioja Bike Race, MMR Asturias Bike Race and Catalunya Bike Race. The new concept ensures an extra day of fun, with reasonable courses and with little disruption for the riders’ logistics, helping them to travel on the same day the race begins. The Flash stage will always be the first. A short, fast and intense route, of barely an hour, which will be raced on Thursday afternoon (4:00 pm). The start will be grouped by categories. 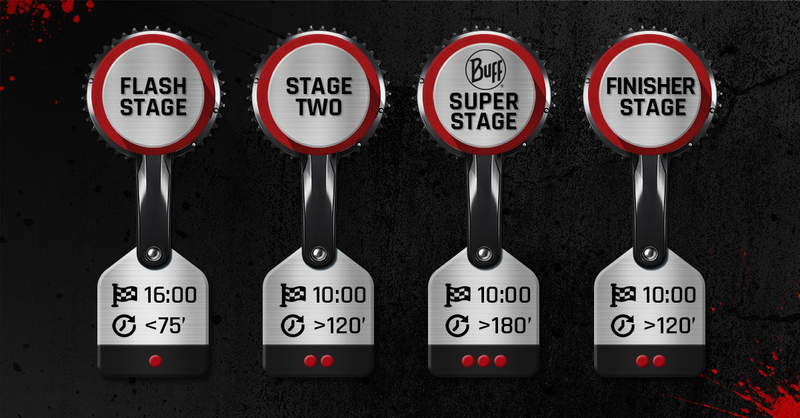 The queen stage, the most demanding and epic, will be renamed BUFF® Super stage. The last stage, similar to the second and which will reward the finishers, will be the FINISHER STAGE. The route will be completed by a conventional marathon stage. All stages will be circular, starting and finishing at the same venue, and will pass through emblematic places in which fun, authenticity, natural technical and physical difficulties, spectacular landscapes and flow predominate. The Flash Stage, BUFF® Super Stage and Finisher Stage structure, will also be implemented in Andalucía Bike Race, which will have three other marathon stages, to complete six days of competition.